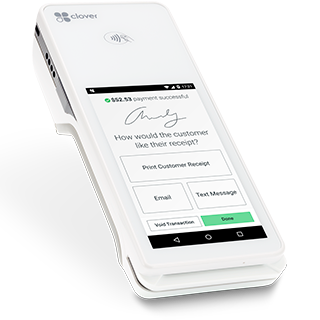 Clover offers minimalist-looking, multifunctional payment terminals – and myriads of fees to consider. 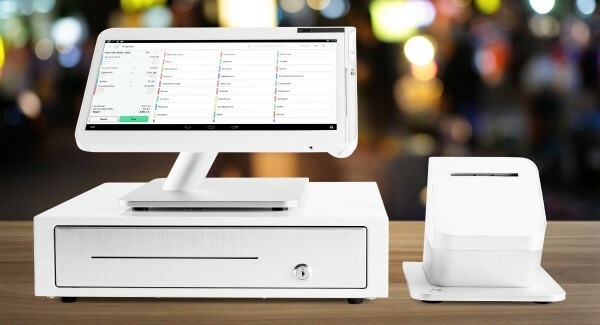 Clover is an out-of-the-box EPOS solution for small businesses wanting a complete package of integrated card machines, POS interface and software. The multi-functional card terminals are stylish and can be customised for any retail or food environment requiring a portable or countertop point of sale. Highs: Aesthetically pleasing design. User-friendly start-up. Fully customisable. Lows: Can easily become expensive. Features cost extra per app. Requires merchant account. Choose if: You want to invest in a long-term system that’s unique to your business. 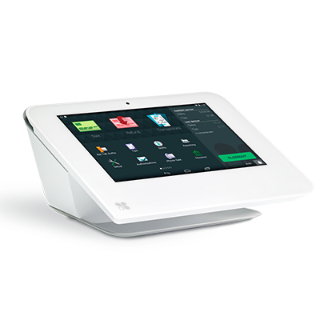 Clover is a complete, out-of-the-box EPOS solution with Clover-branded POS machines and software that can be combined to suit your business needs. It was created and is run by the international acquirer First Data, and sold through authorised merchant service providers or acquiring banks. To be blunt, Clover’s concept of simplicity from the outset is really a beast of complexity with limitations you should be wary of. It is neither just a card machine, software package or point of sale equipment, nor does it involve one easy contract with straightforward fees. The only way to get clear answers about pricing, terms or which contracts are required is to talk to a sales rep directly and compare the fees between providers. We have, however, investigated what you get with a Clover setup – starting with Clover’s trademark POS hardware. In the UK, there’s a choice between three multi-functional terminal solutions: Clover Flex, Clover Mini and Clover Station. They all accept contactless, chip and PIN and swipe cards from the major card brands like Visa and Mastercard, as well as Apple Pay and Google Pay. All the solutions have a touchscreen and inbuilt receipt printer, stylishly designed to be self-sufficient, provided they have internet access for card processing and data syncing through the cloud. Clover Flex: Portable. 8 hours’ battery life. Works through WiFi or 3G. Suitable for on-the-go payments, table side orders, market stalls and businesses where a stationary point of sale could be supplemented with a mobile terminal for taking cards away from the till. Clover Mini: Stationary. Works with WiFi. Suitable for small counter spaces where it’s not feasible to have a separate receipt printer standing. Can be either merchant-facing or customer-facing in conjunction with Clover Station or by turning the screen between merchant and customer. Clover Station: Stationary. Works with WiFi. Suitable for tabletops with space for a screen and receipt printer. 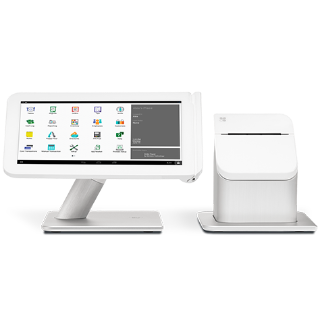 Can integrate cash drawer, Clover Mini (customer-facing display), separate barcode scanner, and other compatible POS hardware in the setup. They all have touchscreen interfaces for customer-facing functions (such as entering a PIN or showing transaction totals) and operational functions such as checkout features. The screens are made of anti-bacterial, durable glass designed for busy environments. All the devices work via the internet, but the Flex can be used with a mobile network too. If the internet is temporarily down, the devices can still accept cards for a limited period of time until the connection is up and running again. Compatible receipt paper is expensive to buy through Clover, but you can get it from other suppliers at a lower price. Clover hardware can be purchased or rented through authorised sellers, and costs are typically obtained by talking to one of their sales reps on the phone. They will give you the option to subscribe to a baseline Clover feature package, then you can add additional apps with more advanced features directly from your Clover account. Clover is always sold with a merchant account, which always comes with a contract and separate costs. Add to that the card fees determined by your business turnover, business type and more. In short, you pay for the 1. Clover hardware, 2. software/apps, 3) merchant account and 4) card processing – and all the service fees associated with each. We have broken down some of the costs using First Data fee estimates as guidance. Clover equipment can be rented or purchased, costs depending on the merchant service provider you’re talking to. The purchase costs above are based on US prices. Note that there may be other costs associated with using Clover. For example, ordering receipt paper rolls (which are specific to Clover) will cost extra, and if you damage the hardware, replacement costs apply. Moreover, if you try to leave before your contract has ended, your service provider may, among other things, charge you for collecting the hardware. As regards to software, you rent one of two packages on a monthly basis containing basic functionality for the Clover devices. Extra features are available via Clover’s apps for integrations and special features. These usually cost extra per app, many of which are advertised as being free, but actually come with a free trial followed by a paid subscription. As well as a few merchant service providers (e.g. Fidelity Payment), three acquiring banks in the UK offer Clover: First Data, AIB Merchant Services and Lloyds Bank Cardnet. Given their lack of transparency, it is unclear whether you need a First Data merchant account even if you go to AIBMS or Lloyds Bank Cardnet. 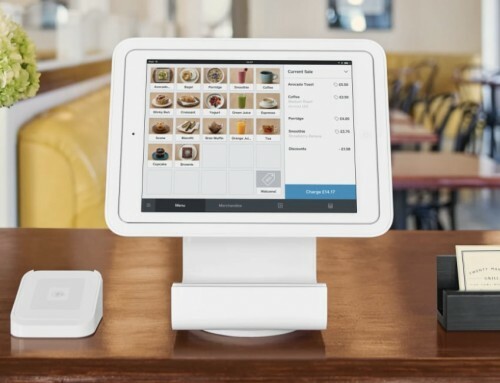 Since the hardware is “powered by” First Data, and American users have reported that only a First Data merchant account can be used in conjunction with Clover, it is possible that only First Data can be your acquirer and/or card processor, while your choice of merchant service provider only affects the initial service during onboarding. Settlement times will depend on the acquiring bank and possibly the payment card used. High amounts or unusual transactions may be subject to account holds. 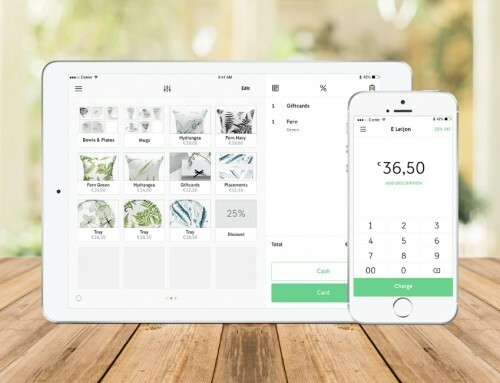 With Clover, you pick a monthly subscription plan with a selection of preinstalled features, but unlike most other EPOS software, it is also possible to cherry-pick features from their app market. Clover offers two subscription plans to UK users: Payments Plus and Register. Your merchant service provider will offer these monthly software package containing the above features, preinstalled and ready to use upon arrival. There is also much room for customisation in the Clover App Market on your Clover device – but mostly if you choose the pricier Register plan. You do not have access to all apps in the Payments Plus plan. In the App Market, you can download Android apps with specific features, whether free or subscription-based. Some of these are made only for your web dashboard (accessible from a remote computer), some are for the Clover interface only, and some are for both. Sales reports are accessed through the Clover Reporting app, which is free to use for 30 days, then costs a monthly subscription. Wherever you purchase or lease Clover from, the customer service will always come from First Data. Their support line is open between 7am and midnight, 7 days a week. Not all EPOS providers offer support every day, so that is a definite plus. This being said, First Data’s customer support has a poor reputation amongst their users. While some report a smooth upstart and no problems, many others complain of unexpected, high fees and unresponsive customer support. Since most Clover users are US-based where First Data has a particularly tarnished reputation, it is, however, difficult to know whether all these complaints apply to users contracted to Clover through a UK-based merchant service provider. The fact you need a merchant account with the Clover packages means you need to pay particular attention to all the terms and fees associated with that contract. Clover hardware is made for smaller businesses, many of whom have never entered into complicated card processing contracts. These merchants should be extra careful, as Clover will most likely not be able to help if there is any contractual negligence from your side resulting in an unexpected consequence. Who is Clover best for? Clover is made for small-to-medium-sized businesses in all sectors serving customers face to face. This could be food-and-drink establishments, retail shops, hairdressers, vets, and more. Although cancelling a Clover subscription is possible, it is compulsory to enter into a merchant account contract, meaning you should be willing to pay for not only the Clover devices and software licences, but also any costs related to card processing and the merchant account. It’s a commitment you enter into, so it’s best for businesses who knows they’ll be around for a few years at least. 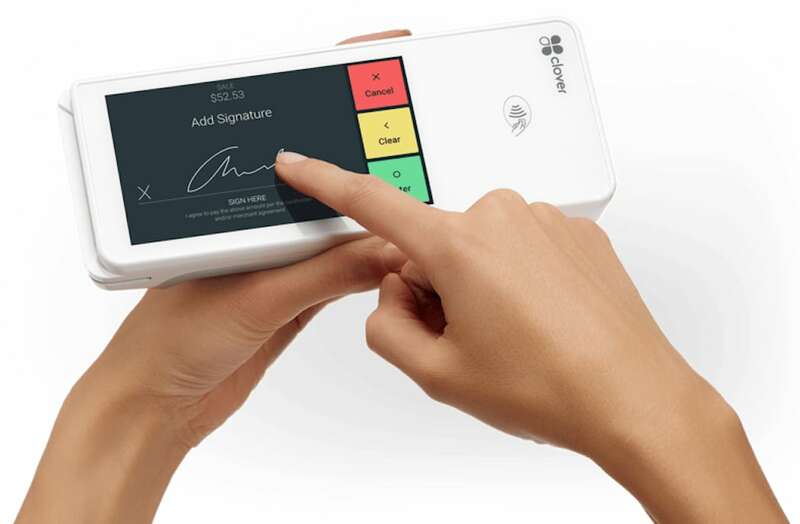 Clover appeals to style-conscious merchants wanting a pretty, but effective, solution instead of the usual, chunky card terminals and computer screens often used as a till interface. Moreover, the multi-functional hardware means you can save space on your countertop, and the portable Flex contains everything you need in one stylish payment device. See also: Is iPad the best solution for cloud-based point of sale (POS) systems? When you go for a highly customisable system to make your business operations easier, it’s common to see some trade-offs too. With Clover, the equipment is proprietary, so if something breaks, it is Clover you deal with for a replacement service or customer support. If you go for more generic EPOS software, you’re free to use your own equipment (e.g. iPad, card reader) and merchant account, if needed. There’s more freedom by choosing a system that’s not specific to just one supplier. On the other hand, you could make Clover uniquely suited for your business. The packages give you a head-start with easy instructions and auto-installs of the core software features, whereafter you pick and choose any specific features through the app market. It has the potential to be your one-stop hub for all your business operations. Ultimately, this all comes at a price and perhaps long, costly contract with potential headaches from all the fees and customer service hiccups. This is not a system you choose if you’re not sure – it’s a commitment you accept if you know it’s right for you. 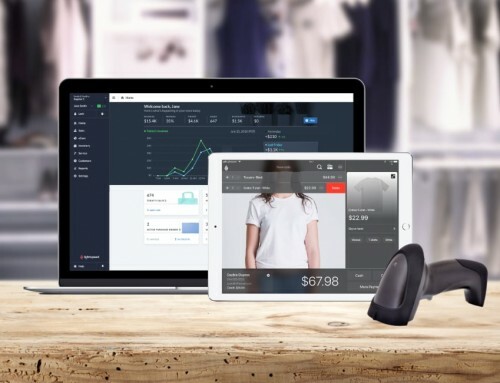 Best for: Those prepared to invest in a unique point of sale and merchant account tailored to their small business.